Offshore structures, seakeeping, ship manoeuvering and more. Norwegian Marine Technology Research Institute – MARINTEK – performs research, development and research-based advisory services in the maritime sector for companies in the field of marine technology. MARINTEK also develops and verifies technological solutions for the shipping and marine equipment industries, for offshore petroleum production and renewable energy. The company is a member of the SINTEF Group and its headquarters are in Trondheim, Norway, with subsidiaries in Houston/Texas, USA and Rio de Janeiro, Brazil. The Ship technology department performs classical research services for the shipping industry, for example hull form design, resistance and propulsion, seakeeping, manoeuvring and thruster investigations. Both state-of-the-art laboratories and analytical tools are applied to all aspects of their research. The Towing Tank was established in 1939. Since then 3000 ship models have been built and tested. During these 70+ years of research and testing, billions of dollars have been saved in reduction of fuel costs and prevention of accidents through safer designs. Today, comfort, high regularity and safety/operation have been given the highest priority in design and operation of ships. Some of the advanced model tests performed are resistance and propulsion tests in calm water and in waves, seakeeping tests, manoeuvring tests, and autopilot and ride control systems. The department performs tests and investigations of moored and DP-positioned floating production systems and offshore loading systems and quays. The department is also involved in all type of operations at sea that involve human factors, several floating objects, crane operations, deep water operations etc. Their services include operability studies, verifications, and risk and safety investigations. 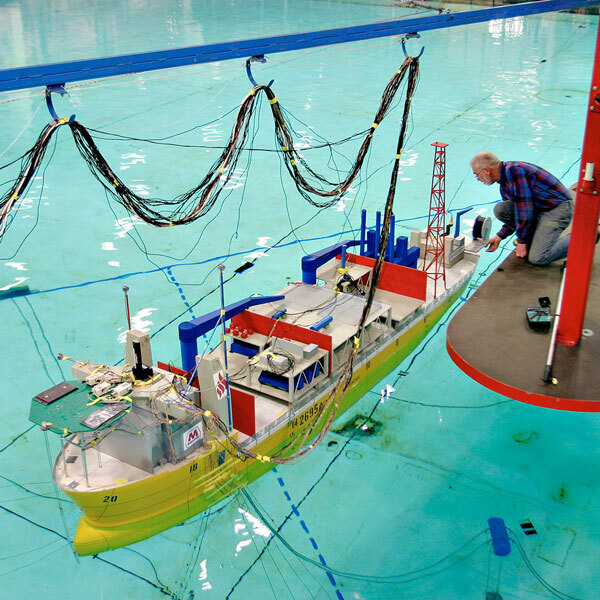 Model testing is an important step in the process of designing ships and other marine structures. 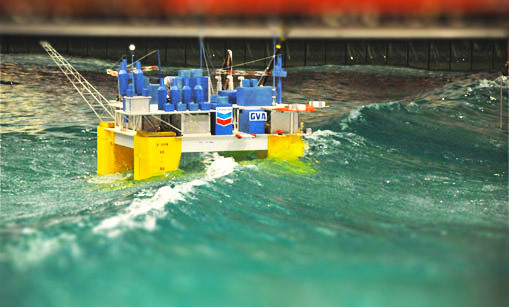 The Ocean Basin laboratory was tailor-made for testing stationary offshore structures; both bottom fixed platforms and floating anchored vessels. The department has more than 25 years of experience from testing a wide range of structures, from large gravity-base concrete platforms to semisubmersibles, spar buoys and floating hoses, in model scales ranging from 1/40 to 1/150 in water depths from 30m to 1200m. Thanks to our long term collaboration with Qualisys and the Oqus system, we have greatly improved the quality and streamlined the collection of data. Jørn Jensen, Senior Research Engineer at Hydrolab, MARINTEK. MARINTEK has used motion capture cameras from Qualisys since 1995 and the company was also involved in the development of Qualisys’ first underwater motion capture system. Today, the Oqus systems at MARINTEK play an important part in the ship testing process. 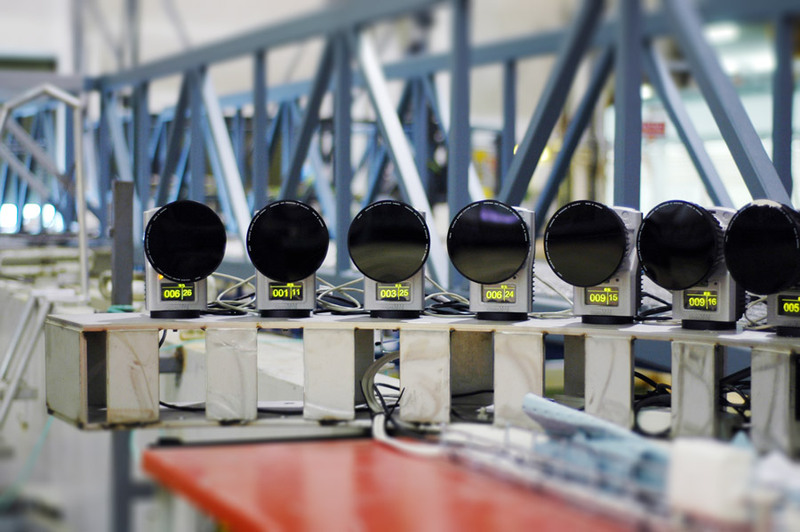 The Oqus systems deliver high-precision data which have greatly improved the research and testing results of the facility.